Tippytoes needs a foster in CT! Sarah is a member of the US Army who is preparing for training and schooling which will take her away from her Norwalk, CT, home from 6/1/2019-10/31/2019. PACT is looking for a great cat foster for her adventure kitty, Tippytoes aka Tipp. 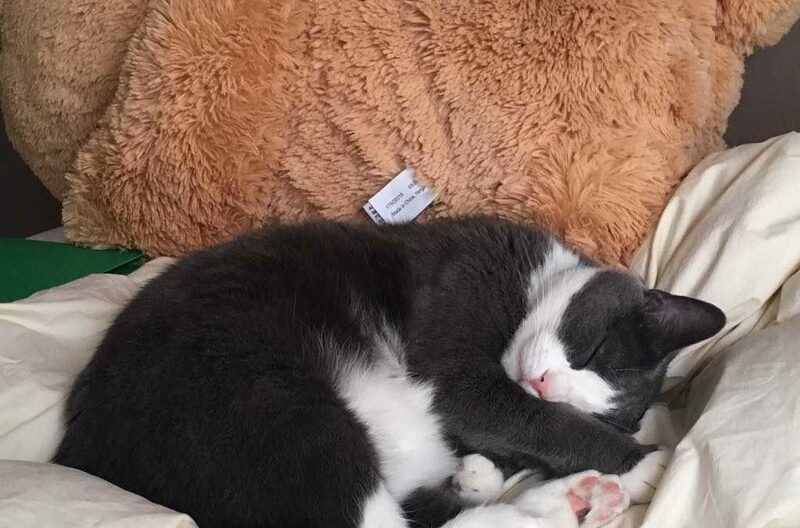 Tippytoes is a 7 year old gray and white domestic shorthaired cat. Tipp is spayed and about 10lbs. Tippytoes is an affectionate and outgoing kitty. Sarah entertains her curious nature by walking her on a harness in good weather. Tipp is afraid of dogs, but would be fine if slowly introduced to another cat. Can you offer Tippytoes a place to stay? If you are interested in fostering wonderful pets like Tippytoes, please fill out a Foster Family Application. If you are interested and have already completed your Foster Application, please email info@pactforanimals.org and let us know!